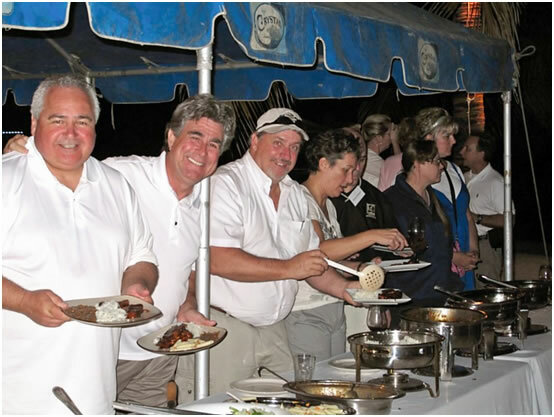 Greetings from The Belize Trade and Investment Development Service (BELTRAIDE)!! 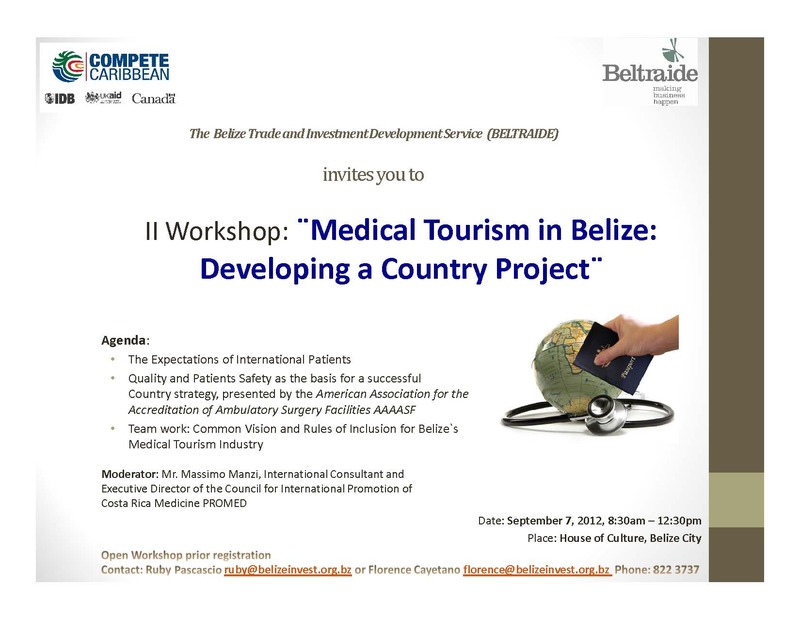 You are cordially invited to the “Second Medical Tourism Workshop” to be held at the House of Culture in Belize City, on September 7, 2012, from 8:30a.m.- 12:00 p.m.
You are encouraged to confirm your participation with us by the 4th of September 2012 . Feel free to contact us if you have any questions or concerns. Michael Cobb, at Hemispheres Publishing states, “There are some challenging days ahead. The upcoming elections in the United States will set the tone and direction for the entire Hemisphere for another 4 years. The acronym for the conference is “GAPS” and you certainly don’t want any gaps in your tax preparations or asset protection. Especially right now with the changes looming in just a few short months. No matter who wins the elections, the likelihood of tax increases is almost certain. The end of the “Bush tax cuts” are imminent. For anyone with total assets of as little as $1,000,000 the tax changes will have a huge impact on what heirs receive. Income and capital gains taxes will jump up as well, no matter who gets elected. What can you do? And it’s not just higher taxes that are the dangers facing us. What about asset protection from frivolous law suits? If you can write a check for only $10,000, you’ve got a huge bulls eye on your back. Are you concerned about new banking laws that smack of currency controls? How about erosions of freedom? These are serious issues you need to address.